Owing to perfection and quality oriented approach, we have carved niche in the industry by offering an enormous grade array of Microcontroller Lab Equipment for Electrical Industry. 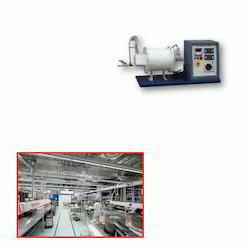 The offered products are widely used in electric applications for different purposes. Looking for Microcontroller Lab Equipment for Electrical Industry ?